Be sure to use approved coconut aminos (to replicate the soy sauce flavor), as well as sugar free/natural peanut butter, for complete keto meal. In a large skillet, saute the chicken and marinade until chicken is cooked through. 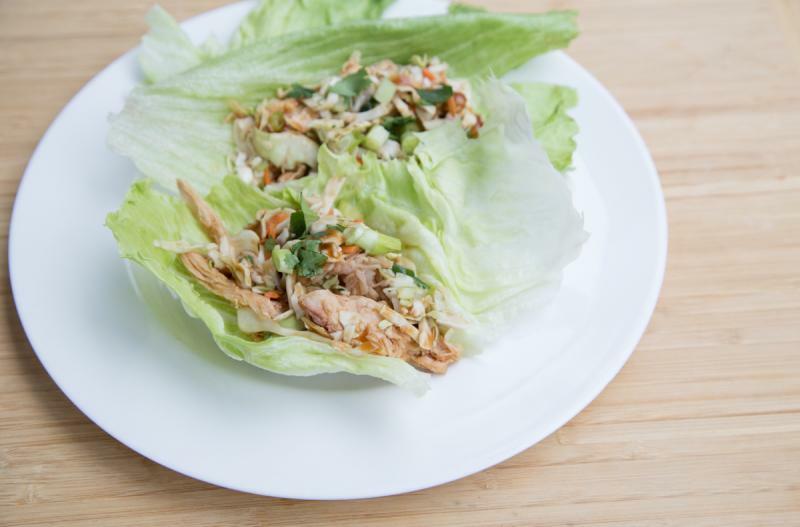 Assemble lettuce wrap tacos with chicken, shredded cabbage in each lettuce leaf. Garnish with chopped cilantro. 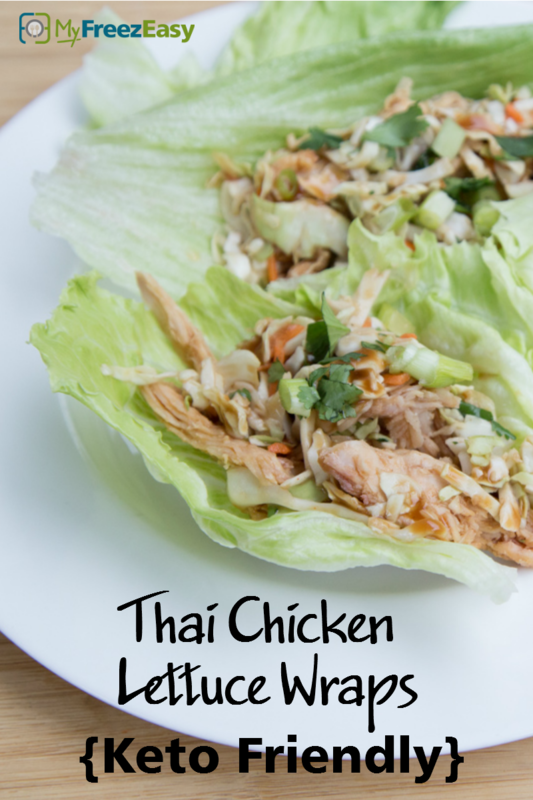 Serve Thai Chicken Lettuce Wrap Tacos with veggies. In a large mixing bowl, whisk together the 6 Tbsp rice vinegar, 6 Tbsp coconut aminos, 4 Tbsp lime juice and 4 Tbsp peanut butter with a few pinches of salt and pepper.